The sheer joy of cool relief during those dog days of summer is yours once you discover a new, refreshing lifestyle... right in your own backyard. This summer get ready for the cool life submerge yourself into the serenity of it all and float out to freedom as if you really were living in that Tahitian paradise of your dreams! Dolphin Pool and Spa Offers Top Quality Above Ground Pools. Pool Packages starting at $1995.00 complete. The Funtastic Pool is a complete, turn-key, semi on-ground pool sold to contractors. 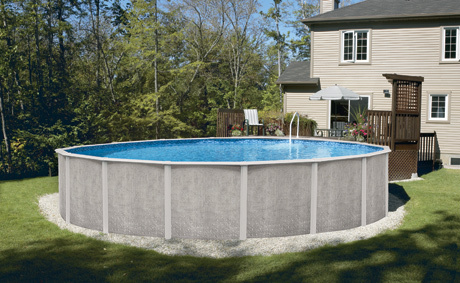 Our pools are simple to build and less expensive than traditional custom pools. 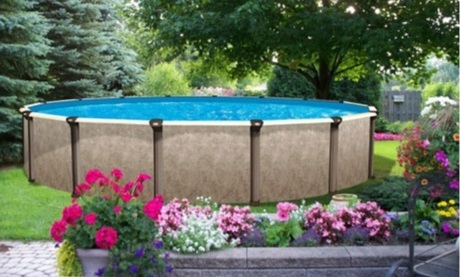 Funtastic Pools are the next generation in backyard pool design and construction. Advanced technologies such as the Alpha Advantage Shield and “SPERT” make The Funtastic Pool a better pool. Want your Funtastic Pool completely inground? It can be done! Find the right shape and size that fits your backyard perfectly at a price that is affordable!